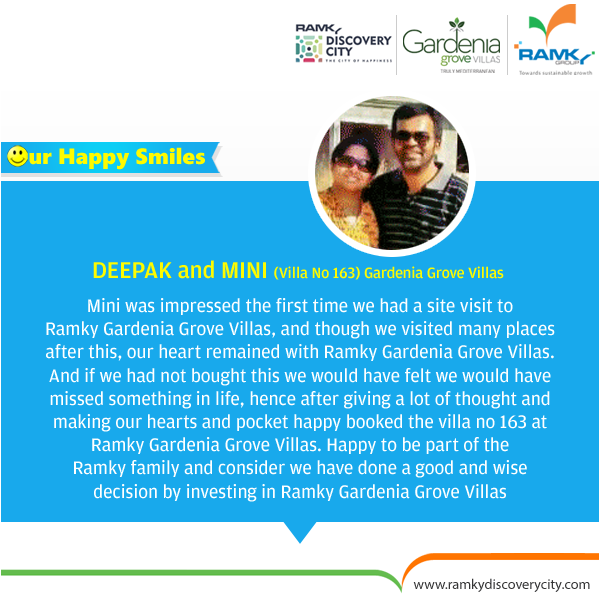 Ramky estates & farms ltd..: #OurHappySmile #RamkyDiscoveryCity is now home to many happy families, with the Villas being handed over well ahead of schedule. We, at #Ramky, aim to exceed the expectations of all our customers. Our happy customers say it all... Thank You, Deepak & Mini for your valuable words.